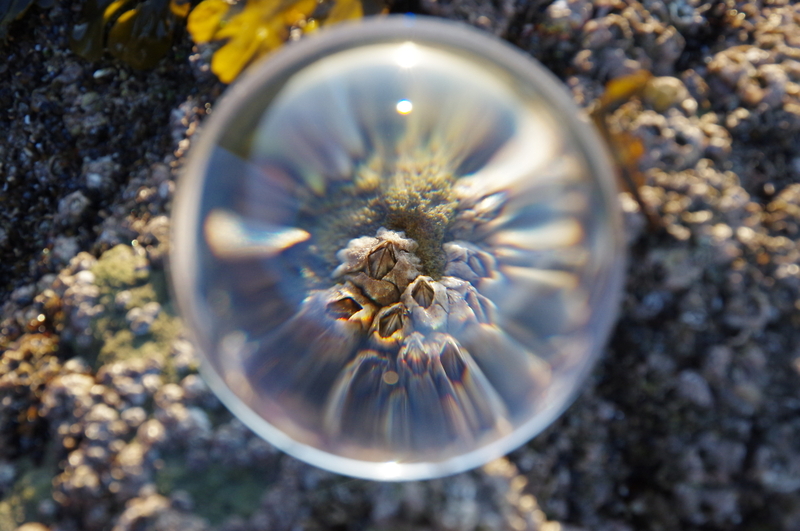 I'm assuming it is a crystal ball; whatever, it adds nicely to the aquatic feel of the whole. Very clever shot. Clever enlarging device adds drama to these little much-maligned creatures.